Mexico is my favourite place for vibrant colours! 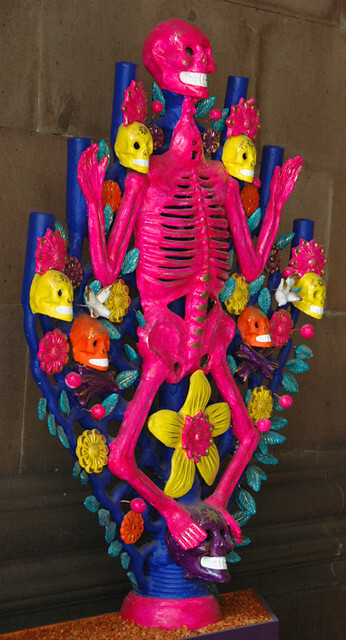 Hot pink skeleton for the Day of the Dead. 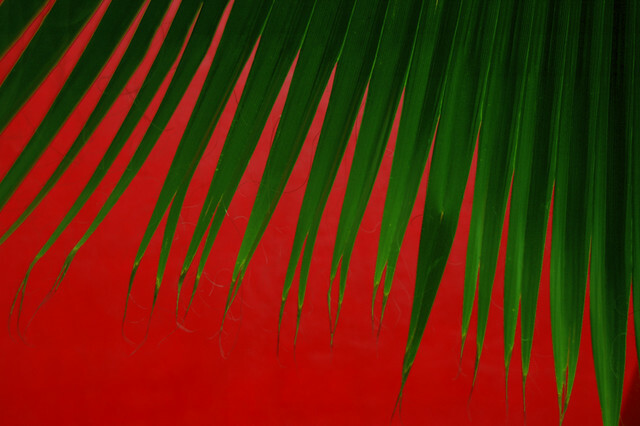 Green palm leaves against a red wall in Mexico vibrate from the ‘complementary’ colour clash. 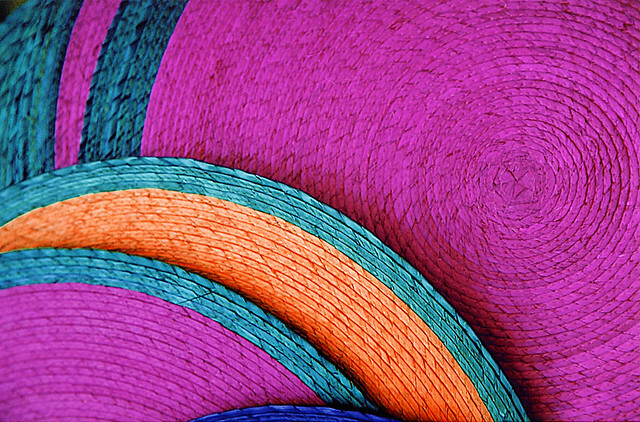 Large colourful straw mats in a Mexican market. 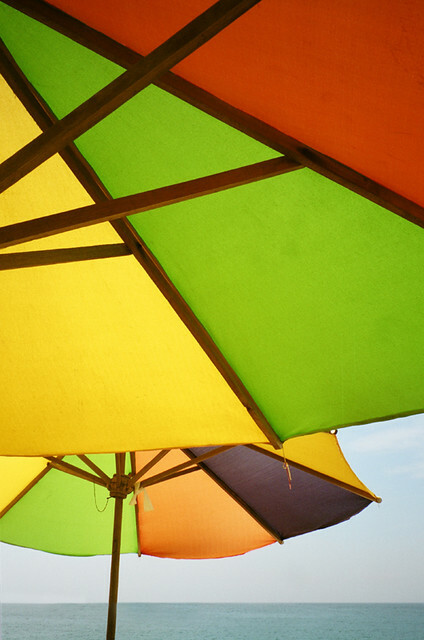 Bright beach umbrellas in Barra de Navidad. 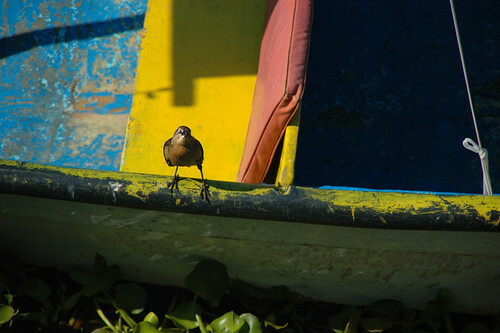 Bird on a brightly coloured boat on Lake Chapala. 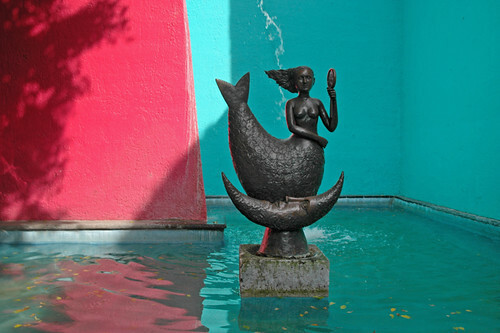 Bustamante sculpture of a mermaid in Tlaquepaque, Mexico. 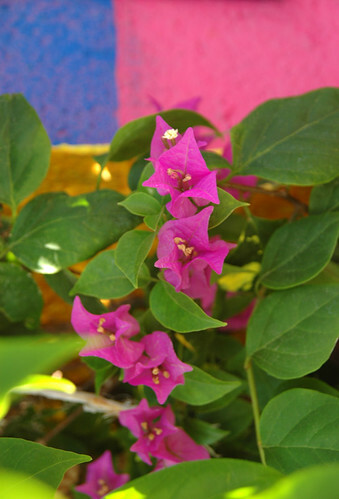 Pink bouganvilla flowers against a bright wall in Barra de Navidad, Mexico. 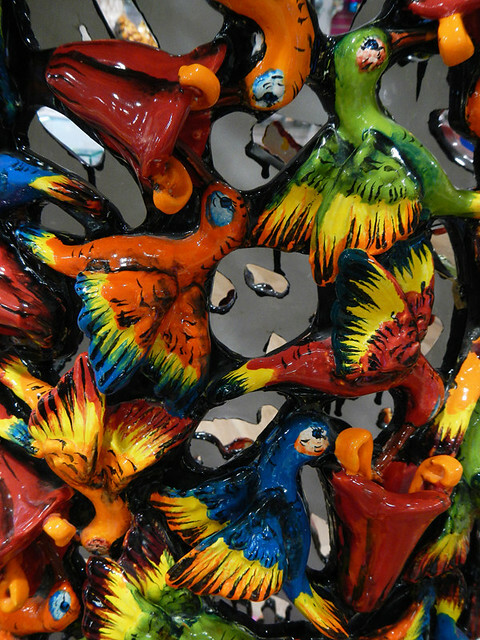 Vivid ceramic birds decorate the outfit of a Katrina skeleton in Puerto Vallarta. A distinctly Mexican canary! 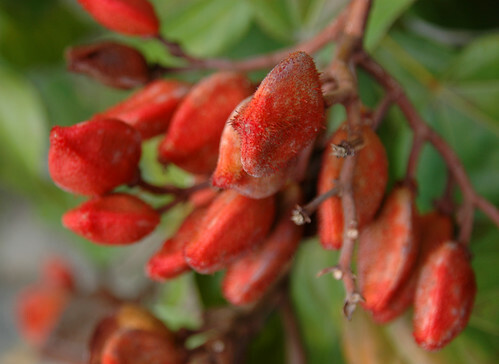 Bright red seeds in Colima, Mexico. 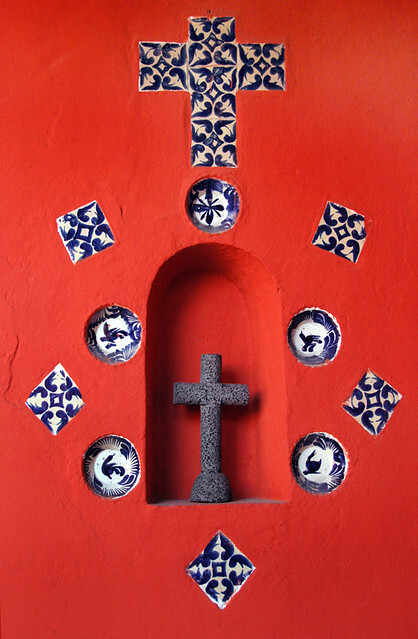 An orange wall with cross in Coyoacán, near Mexico City. Great photos. It is almost cheating being in Mexico for this week´s challenge. What isn´t vibrant? I love the minimalism of the palm frond against the red wall. Mexico is so colourful – the colours always lift my spirits! Oooo, sunglasses needed! Great gallery. You need sunglasses even on a cloudy day when you’re in Mexico! Lovely colorful photos. Mexico must be fun to visit. Mexico is one of my favourite places to travel to! Absolutely beautiful entry for this week. Thanks for participating. Thank you so much – my week is definitely off to a good start now! Super great selections of photograph. I always purchase a ‘Day of the Dead’ sculpture when we go to Mexico. They’re so vibrantly colorful. Nicely done … Congratulations on receiving the Featured Blogger. It is very vibrant here in Mexico!